The POV Dispatch is our Autodesk internal newsletter, published monthly, where we discuss the big ideas that are important to us and our customers. It is published by our Corporate Strategy & Engagement (CS&E) team of which Autodesk Labs is a part. Jon Pittman is the VP of CS&E, so it should come as no surprise that Jon routinely makes submissions to issues of the POV Dispatch. Jon is also a Lecturer at the Haas School of Business of the University of California at Berkeley. Jon contributed this to a recent issue, and with his permission, I thought I would share it with you. At a recent senior leadership meeting, some expressed concern that, with our new strategy, we were moving away from our "core competencies." When queried about what those core competencies were, what came back were things like the reseller channel, volume software, democratizing technology, and financial strength. In fact, if you look back at corporate overview presentations from several years ago, that is what we used to talk about. 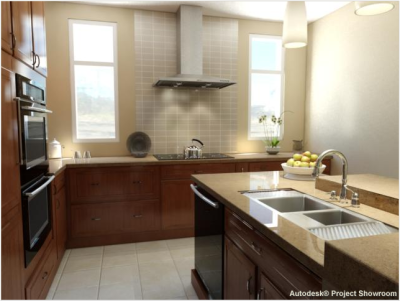 We didn't really mention compelling products or cutting-edge technology, because back then we considered Autodesk to be a "fast follower -- meaning, we let others innovate and lead with the latest technology. Then, after a technology became mainstream, we would "democratize it" and put it through our extensive reseller channel. We saw ourselves as responding to the technological context set by others, rather than shaping that context ourselves. 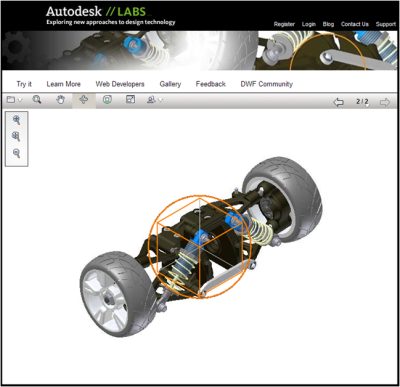 Over the past several years, we have been quietly changing Autodesk from a fast follower to a technology leader. We've increased our R&D investments and acquisitions, and built a strong technical talent base through acquisition and hiring. All of the core competencies we developed as a fast follower still remain, but recently we've developed a new core competency of technology leadership, by building up a formidable portfolio of products and technologies. In several of our major markets we have expanded the number of products in our portfolio to address larger portions of the customer workflow, serve new customer segments, and provide customers with ever greater capability. A few years ago, this proliferation of products threatened to overwhelm our distribution channel. Path to Volume (PTV) was one response to this, as was Suites, and now Cloud, as well as a go-to-market approach organized around industries. We've clearly moved from fast follower to technology leader. How did this happen? The first cause of this change to a leadership role was increased R&D investment. Our R&D spending has been on an upward trend, with a breakout around 2003. This was the time of "Autodesk 3.0," in which one of the tenets was to "redefine design," which meant moving beyond documentation to address the entire design process, including analysis, simulation, and realization. If we look at our R&D on a relative basis, the significance of our investment is even clearer. Our R&D investment is even more robust relative to other technology innovators. Another form of investment that has shaped our technology leadership is M&A. 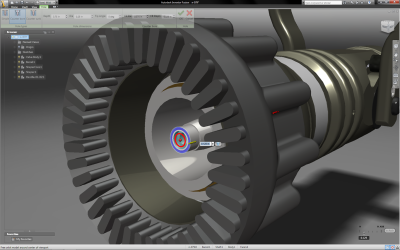 Historically were somewhat intentional about acquisitions, buying companies that we thought would enhance the Autodesk portfolio. In the past few years, however, our acquisitions have become much more focused and strategic -- not only filling out our product portfolio, but also bringing new skills, talent, and technologies into the company. We have also entered new areas to expand our opportunity and technology base: our consumer group and our nascent nano/bio initiatives are good examples of this. Why we purchased Socialcam is an example of M&A helping us enter new markets and bringing in skills in new areas that will benefit our core business. When we formulated our corporate strategy in the fall of 2011, we were very aware of this shift from fast follower to technology leader. We also understood that the technological context was shifting toward the cloud/mobile/social. If we remained a fast follower in the PC desktop software business, we ran the risk of slowly drifting into irrelevance. Instead, we chose to lead our customers and competitors into the new technology context. We chose to accept the new context and shape the world of design to that context. We chose to build upon our newfound technology leadership in general to also become a technology leader in applying cloud/mobile/social to help people imagine design, and create a better world. In short: we are no longer your Father's Autodesk. We've clearly moved beyond fast follower to technology leader. Instead of responding to the context established by others, we are now shaping the context. This does not mean that our core competencies developed in the fast follower days are irrelevant. Instead, it means that we have built upon them by adding a powerful new core competency: technology leadership. It's time we celebrated our shift to technology leader, acknowledge our leadership position, and act as a leader to shape the technology context for the industries and customers we serve. Thanks Jon. I especially like the plug for Autodesk Labs. Leading is alive in the lab.